Hi there! We have a brand new pattern to share with you today! This pattern is a fat quarter friendly quilt, with 2 layout options! 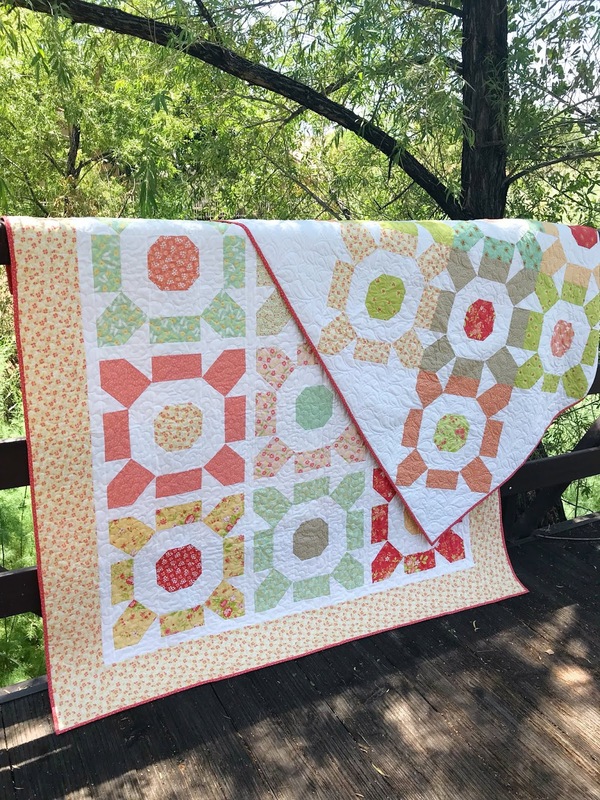 We used Ella and Ollie fabric for both of these quilts and we LOVE how they turned out! The first layout is a traditional, horizontal layout with sashing and a border. We love the simplicity of this layout! It features nine blocks with a simple white sashing. 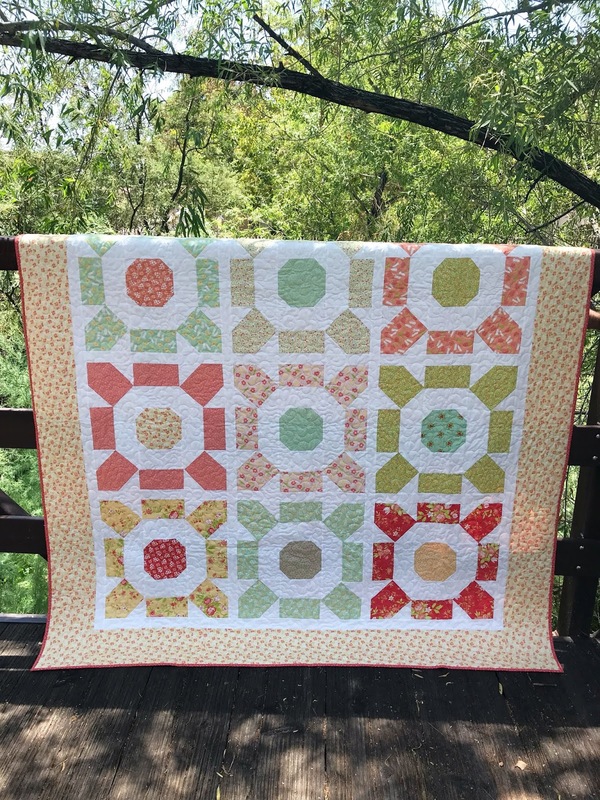 This quilt finishes at 72" square. The second layout is an "on point" layout. This layout really changes the whole look of the pattern! We love how this one turned out! 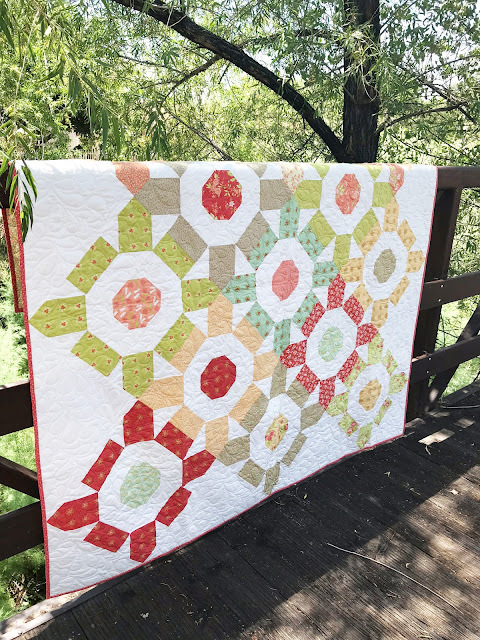 This quilt features 13 blocks all put together on point with setting triangles. This quilt finishes at 76" square.